Una splendida gita a Venezia, tutte molto belle. This is fabulous! I like it very much! You’re right, Venice is a special place! Oh this is just lovely, great lines and definition in B&W. Great image! Great shot! I miss Venice already. 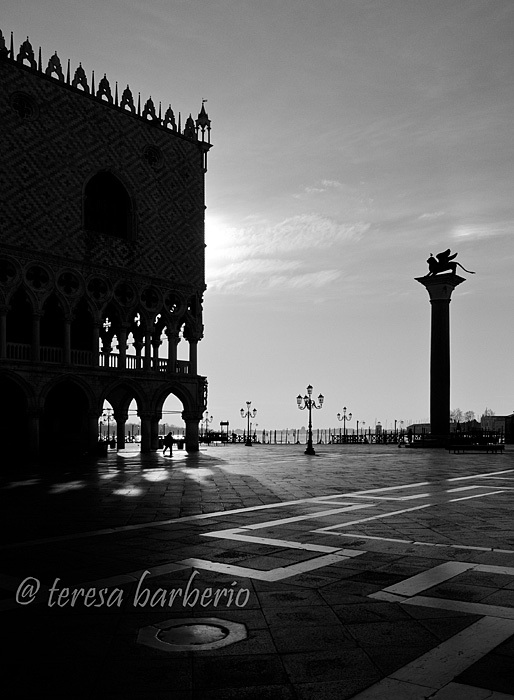 San Marco looks very empty here, was this early in the morning? It was about 8 in the morning. Ancora me la ricordo quella domenica mattina, Venezia aveva un’atmosfera magica, ne è valsa davvero la pena svegliarsi alle 7! Wow this is fantastic! I like that you made it look like the light was peeking from the side of the building. 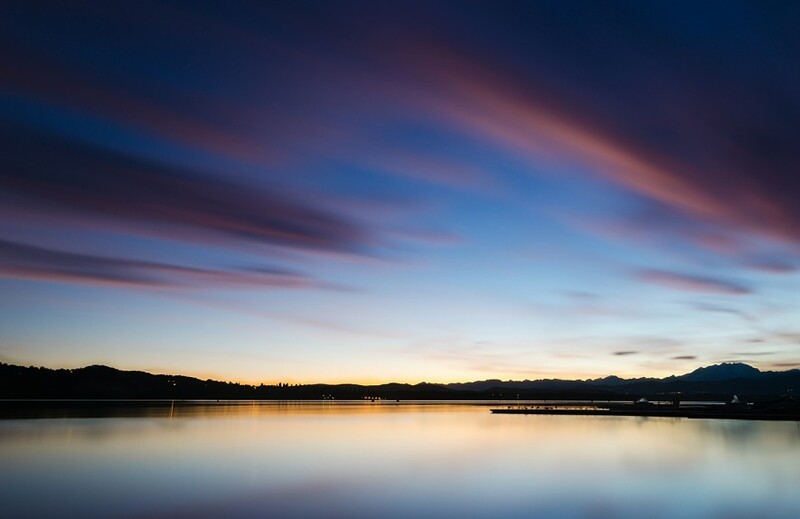 So clean, like the sky was scarped of every particle of dirt or dust – amazing light that you captured! You’re right, the ligth was fantastic and the air so clean, no dust or fog. That second one is beauitful. Stupendo controluce, delizioso famoso scorcio, immortalato con maestria, bravissima! Scusami se rispondo solo ora, ma a volte le notifiche non mi arrivano! Ho fatto una foto simile giusto il mese scorso… amo Venezia e questa è una prospettiva che mi piace molto! Bella foto, complimenti! Sì, Venezia è una città speciale.